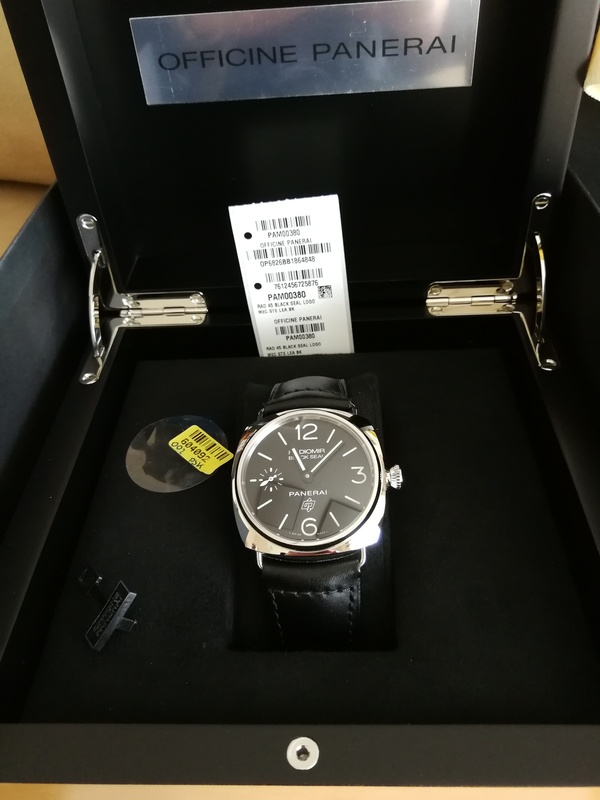 Panerai PAM Ref 380 Radiomir Black Seal with the manual wind movement. The watch was extremely worn very carefully in exchange with other pieces. The PAN pulls up easily and runs perfectly. Overall condition of the watch is top as it was well maintained. The are no traces of use for me except with the help of a magnifying glass, then I will not exclude micro swirls on the case and on the bridge screws from the band change may be to be found.